Hong Kong harks back to the good old days of Cantonese cooking. Hong Kong serves a great variety of Chinese, Seafood and Vegetarian. Hong Kong, tucked away in Umm Al Hassam, doesn’t seem to be too badly affected by the general apathy surrounding Chinese cuisine. It has a reputation for being one of the best Chinese restaurants around, and yet charges a fraction of the price of some of the more upmarket joints in Adliya. The restaurant itself occupies a villa, and is nicely done out with classical Chinese décor that faintly echoes the Summer Palace in Beijing. The waiters are classically efficient, and plates, replacement napkins, forks, spoons, glasses and the bill all appear and disappear as though of their own accord. 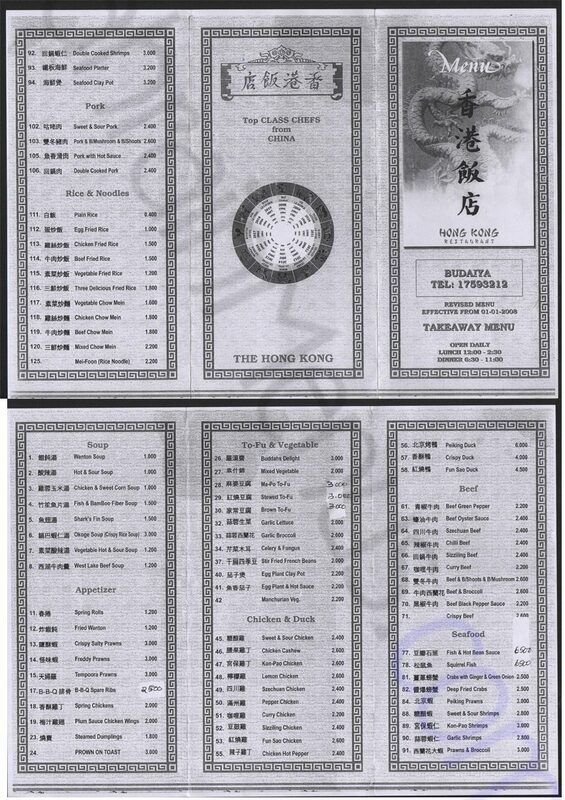 The menu is everything you’d expect from a Chinese restaurant, with the obligatory bamboo shoots and water chestnuts, chow mein and chop suey, along with several unwieldy dishes like frogs legs and sea slug that you want to order but daren’t eat.